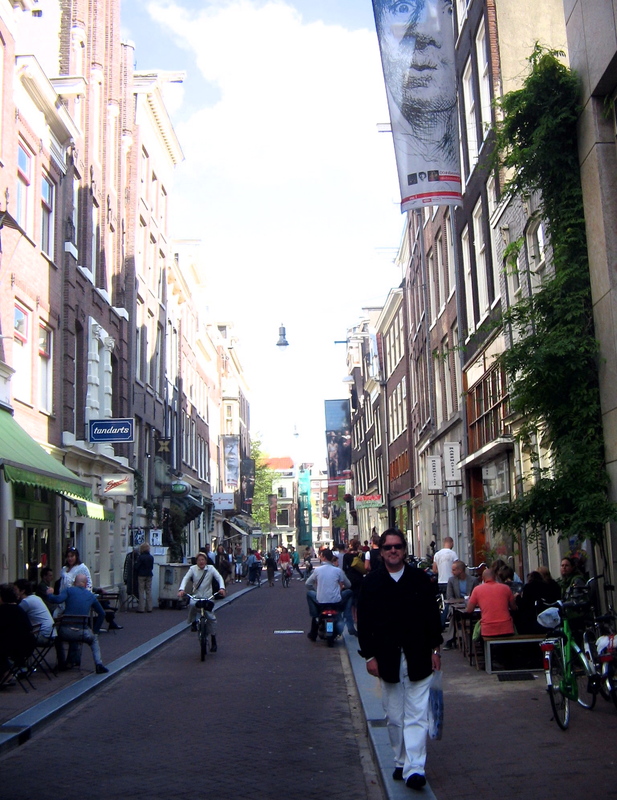 The Nine Streets or “De Negen Straatjes,” in Amsterdam remind me of Greenwich Village in Manhattan filled with boutiques and cafes, all tiny enough for extreme comfort. As an outsider, I couldn’t help but observe the casually polite Dutch as they passed on the street and jumped off their bikes to say hi to friends. The tall men were often dressed in what I would label “ivy-league professor” apparel, at a very fashionable college of course. The women wore comparable outfits, with a little personal charm thrown in. My mother bought the riding boots that I saw on many women, with their jeans tucked in. This neighborhood is effortlessly classic and eclectic. 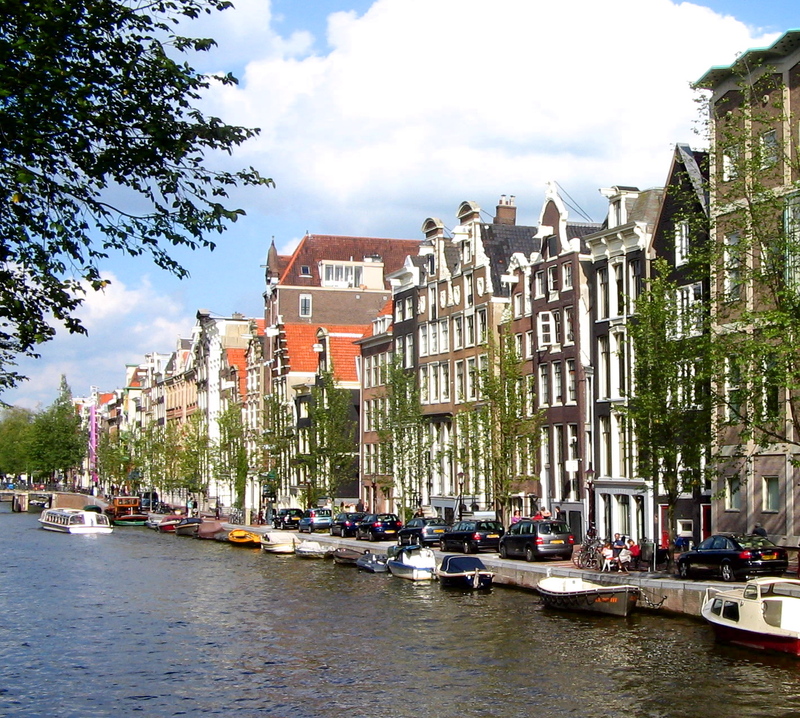 These nine blocks can be found between three of the longest canal streets in the Jordaan neighborhood, Prisengracht, Keisergracht, and Herengracht. Each small block connecting has their own name, which differs from blocks in America that continue with the same name after each intersection they pass. Each block consists of maybe ten-twelve different businesses that strive not on the tourists, but the trendy locals. When my family came to visit during my semester in The Netherlands, I was ecstatic, not only to see them but also to experience the city in my favorite way. Wandering around without a concrete plan is the way we do it. Attempting to pass off as a local in a foreign city is a tough challenge. Amsterdam is a city where everyone speaks English and I haven’t come to terms with whether or not I believe this is a good thing or too easy. Fresh, seasonal, clean, and simple food is what I look for when hungry. I would prefer to sit outside, or inside by the window of any café than sit in a dark pub-like restaurant anyday. 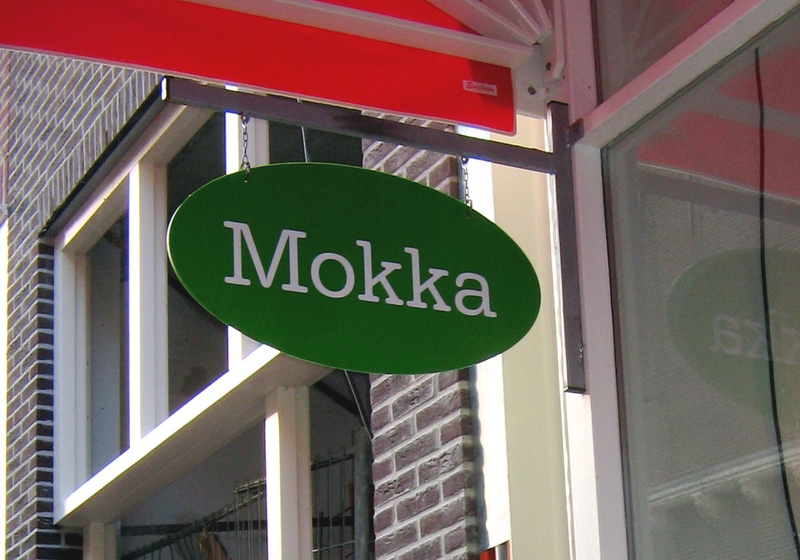 Café Mokka, was the first place my father, mother, sister, and I went for coffee and lunch. From the first time I saw the red awning and green sign, I was captured. The smell of freshly baked muffins took over my senses as I entered the quaint café of two stories. Mokka had 5 or 6 tables sitting two to four people and two young women handled all the fresh ingredients as a team in the step-down kitchen, visible to all sitting above. One woman handed the olive oil to the other who stood behind, and I watched as she let it drip onto the open-faced grainy bread, which she then layered with goat cheese, salad greens, roasted red peppers, walnuts, and honey. She then quickly brought it to the couple sitting at the table next to the glass café front, separating the street from Mokka’s world. The café was filled with people I believed to be completely satisfied sitting there for the rest of the afternoon, sipping their tea’s in tall glasses with mint leaves and Illy espressos. Goodies Café on Huidenstraat, another place with an English menu on one side, and Dutch on the other was another success. White washed benches give an outdoorsy atmosphere and contrasts a small wooden bar where two young men with warm Dutch smiles served Brand beers to two young Dutch women. A black cat sprawled across one of the bench seats and yawned as two young children, dressed in every color of the rainbow, ran to pet it. The parents were deeply enthralled in a conversation but made sure to acknowledge the women serving them produce-packed salads. The couple were dressed as though one had been in the country riding horses all day and the other sailing. The wife had on a pair of flat riding boots, similar to the ones my mother had bought, and her husband wore a white and navy striped sweater and thick ribbed cords folded up to his shins to emphasize his long legs and a pair of faded navy Sperry top-siders on his feet. I would suggest trying any of the salads with refreshing Mediterranean flavors. Mine had a wonderful creamy avocado dressing that I have tried mimicking myself, without success. The cold and warm sandwiches are topped with mozzarella, and aubergine (eggplant), pestos, and more. The same goes with the seven different bagel sandwiches on the menu. Eating vegetarian is not hard to do at Goodies. Another café that is found on Runstraat, Lust, is in a small brick building decorated in plush red booths and purple crystal chandeliers. The atmosphere is familiar, resembling a Los Angeles and New York late night lounge but the bright smile of the waiter bringing over fizzy water is somewhat unfamiliar and distinct. There isn’t the “I am better than you” feeling and I don’t miss it. Although the name, Lust, seems risqué, it actually means “desire” in Dutch. I had the desire for everything in this place. I wanted to return for every salad, sandwich, coffee creation they had. Every ingredient resembled all the other cafés we had the chance to dine in our stay in Amsterdam. It is as though the chef’s went to the farmer’s market every morning to find the freshly baked breads and all the colorful produce on the menu. I will imagine they do. * Next I will write about my favorite shops in “De Negen Straatjes”.